The Hotel Maroseyka 2/15 has a surprise for you. As you know on the 8th and 9 th of September Moscow celebrates its 871 anniversary. 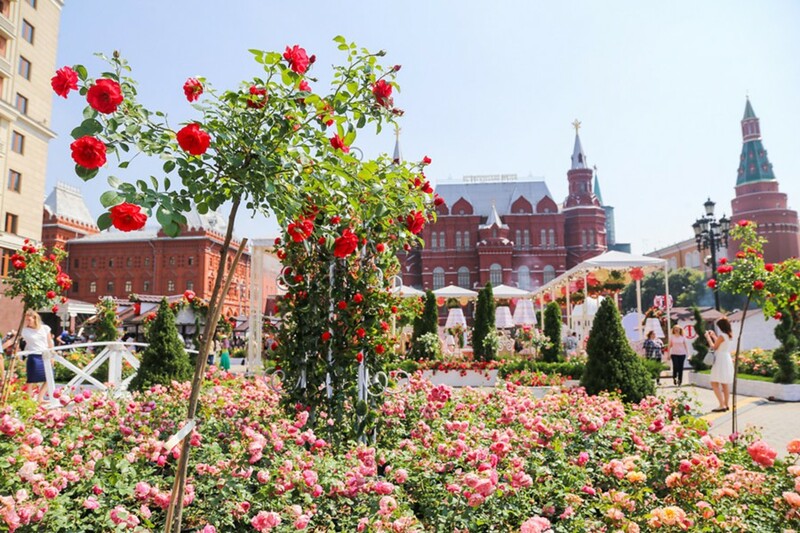 Flower Jam festival will take place on the central streets of the city. It will color the city and prolong the feeling of a warm summer. The main event of the festival will be a competition for the best urban landscape design. Can you imagine how it will be picturesque. The Hotel Maroseyka 2/15 offers you a chance to stroll through the gardens and parks, to compete in sporting events, to go sightseeing and to participate in cooking classes. By the way, this grandiose action will unfold near The Hotel Maroseyka 2/15, near the Moscow Kremlin. Please come and feel this wonderful atmosphere of the holiday.